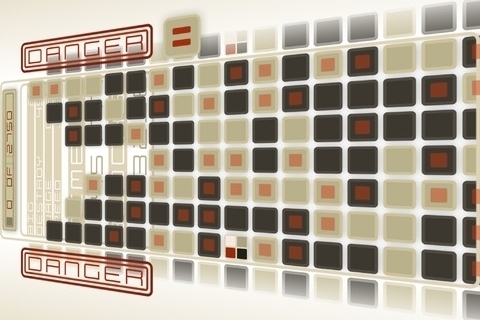 Crush this challenging new game with our beginner's guide. 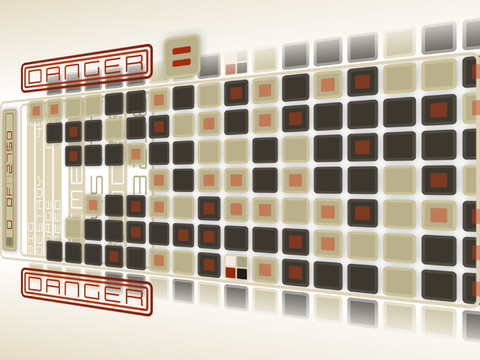 Radiangames' new puzzle game Crush! is out now on the App Store, and we gave it a 4.5 out of 5 star score in our review this morning. It's a tricky and tense block-clearing game, so we've put together some useful hints and tips for you. - As a general rule, make sure you're clearing rows consistently across the entire width of the screen. It's easy to become distracted by one particularly juicy match-up, but you need to make sure that not a single cube touches the bottom of the screen, or it's game over. - Always keep a close eye out for what's happening at the furthest edges of the screen. You can't tap on these outermost cubes, and they can quickly end your game for you if they reach the bottom. As well as clearing evenly across the board in general, make sure you're bringing color-clears into play that will free up these outside edges. - You can choose a power-up to suit your playing preferences, but you may wish to choose one that's appropriate to the game mode you're playing on. We like to use Remix for the Think mode, Slow for React gameplay, and the Chop power-up for the Crush mode. - Tempting though it is to simply clear as many color clusters as you can, try and think one step ahead at all times. Can you build a bigger combo by clearing out a few small patches of color? Try to maximize your clearance opportunities, but always be aware of the looming threat represented by the bottom of the screen. - To unlock new power-ups in Crush! try reaching the target milestones that appear under the Goals tab of the main menu. Once you've worked your way through these, try experimenting with the different bonus effects you unlock to eke out a higher score. Read our review of Crush!